Alisha Halfmoon had been wandering around her local Oklahoma Wal-Mart for six hours. At first it appeared that she was overwhelmed by the combination of a great selection and competitive prices, but security began getting suspicious when she grabbed a bottle of starter fluid and squatted at the back of the store near the restrooms. 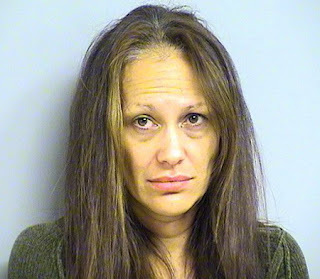 When the Tulsa police arrived on scene, they interrupted Ms. Halfmoon in the process of cooking meth. When confronted, Alisha admitted that she was attempting to save money by mixing the ingredients in the store so that she would not have to pay for them or get caught attempting to steal. To add insult to injury, a spokesman for the Tulsa police department impugned Halfmoon’s shake & bake skills by adding, “She was not very good at it.” The mixture had become so volatile that the officer disposing of it had to be treated for chemical burn despite wearing thick gloves. While many would be quick to judge Mrs. Halfmoon, I would like to highlight the fact that she chose the moral high-ground concerning shoplifting. A lesser woman might have stuffed her handbag full of Sudafed and drain cleaner in order to concoct her illegal substance in the comfort of her own home, but Alisha bravely chose ethics over convenience. I dare say that had she been allowed to complete the process, she would have left the remaining lithium and sulfuric acid for tweakers less fortunate than herself. I might also suggest that Wal-Mart step up their response time for “suspicious behavior.” A disheveled white woman with unnaturally dilated pupils should not be allowed to hang around flammable liquids for an extended period before someone decides to intervene. Generally speaking, the only people who spend more than six consecutive hours at a department store should be on the payroll. In their defense, I can only imagine how one could become desensitized to “unusual behavior” after staring at Wal-Mart security footage for hours at a time. It also seemed mean spirited for the officer to kick poor Alisha while she was down by criticizing her technique. For all he knew, that could have been the only area of her life where she felt qualified. She may have started the day by telling herself, “You may not have a dependable source of income or even salvageable teeth, but by God Alisha you make the finest Ice this side of Little Rock.” I am not saying you have to lie to the woman, just break it to her with a little tact. 1. A bearded man removes his pants and begins riding a tricycle through housewares while quoting Color Me Badd lyrics. 2. A couple in a tandem giraffe costume begins arranging bottles of mouthwash into gang symbols in front of the customer service desk. 3. A woman emerges from the men’s restroom insisting that urinal took her quarter without dispensing any cologne. 4. A toddler dressed as Fidel Castro is being closely pursued by a nun with a crossbow. 5. An elderly man holding an enema kit and a disposable camera keeps asking for a dressing room.